THE MUSEUM IS OPEN 10AM - 4PM | TUESDAY - SUNDAY. J ust minutes from Boston and set amid the beautiful, 64-acre Larz Anderson Park, you will find the Larz Anderson Museum. 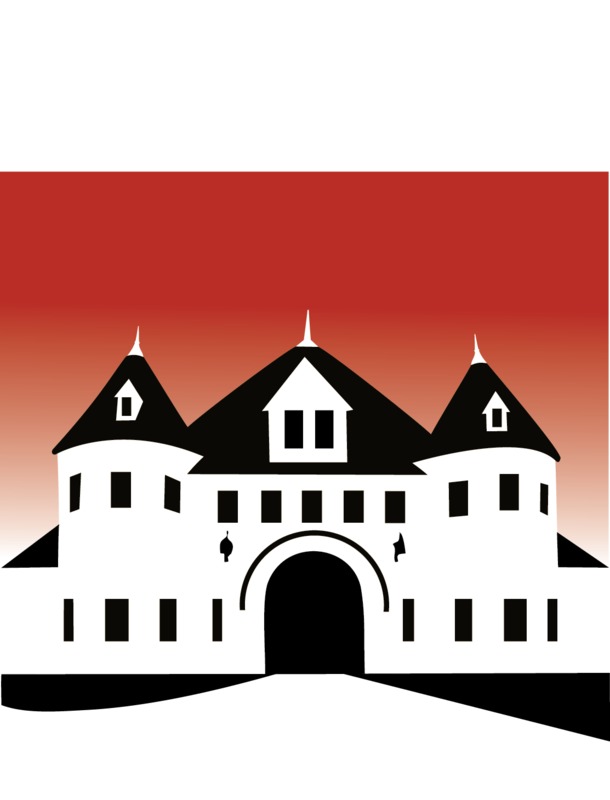 The Larz Anderson Auto Museum has been recognized as one of the top 25 tourist attractions in Massachusetts by the Boston Business Journal. 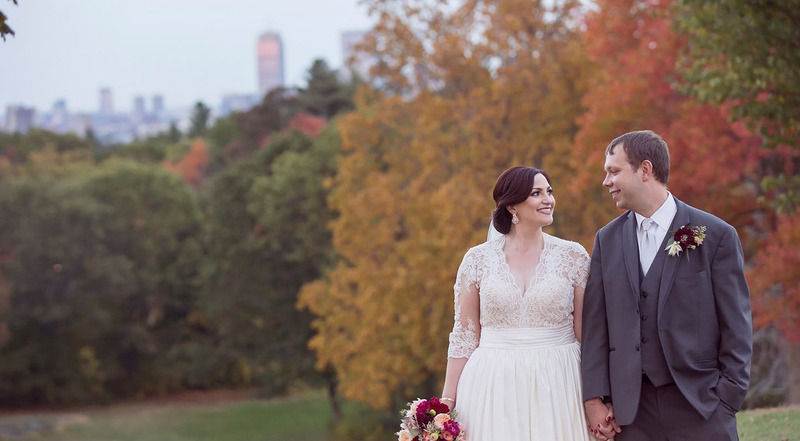 With its stunning view of the Boston skyline, the Larz Anderson Park carries the distinction as being one of the top five most romantic places in the Boston area for a marriage proposal. 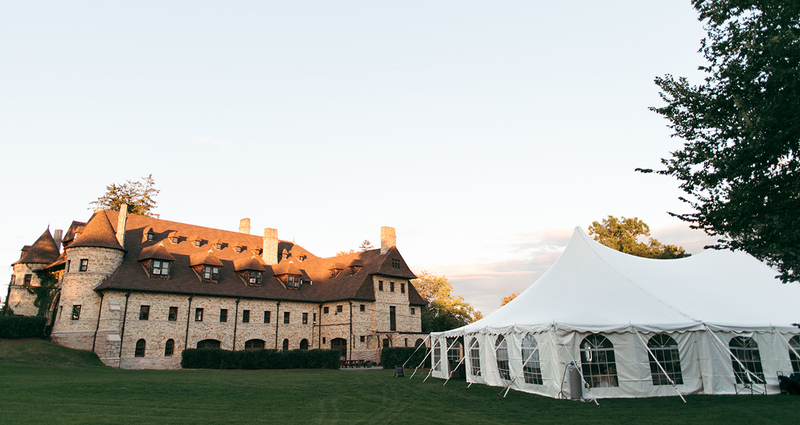 The museum’s historic Carriage House was built in 1888 by the first official architect of Boston, Edmund Wheelwright, and modeled after the Chateau de Chaumont-Sur-Loire in France. The estate once belonged to Larz and Isabel Anderson, who began their love affair with the automobile in 1899, shortly after they married. 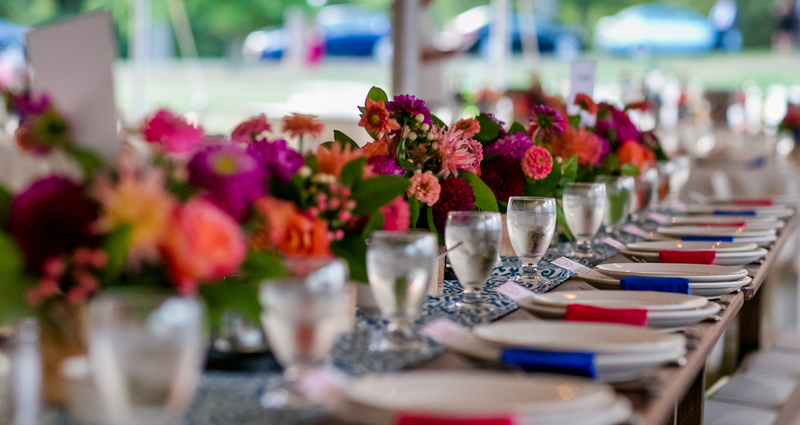 Follow in Larz and Isabel’s footsteps and continue your love affair with a magnificent wedding ceremony on the lawn or adjoining park, followed by an extraordinary reception surrounded by some of the finest automobiles the world has ever seen. 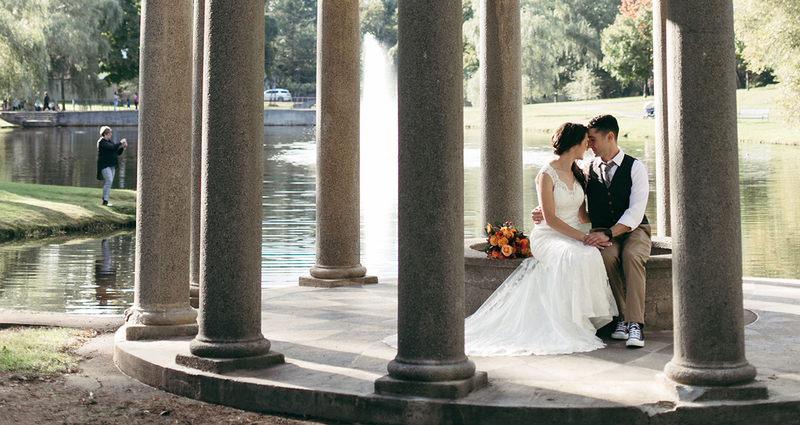 Because of the proximity to the Larz Anderson Park, clients will often use the park areas, as well as the museum. Corporate clients have used the ball field and other areas of the park for team-building activities prior to refreshments or meetings inside the Carriage House. 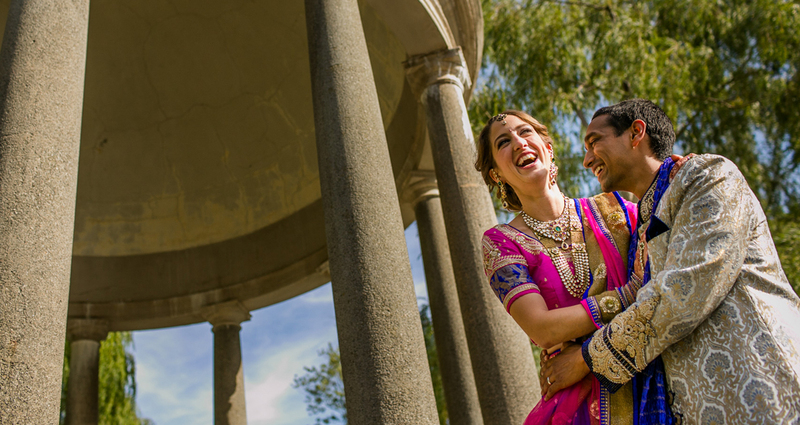 There are three distinct sites in the park that are ideally suited to an outdoor wedding ceremony – the Top of the Hill and the Temple of Love being two favorites. Clients do need a permit from the Town of Brookline when using any area of the park. Otherwise, the Great Lawn can be utilized for a minimal fee. The Museum provides numerous indoor and outdoor options for using the Museum’s function spaces. The Museum’s appeal is not just for car enthusiasts but also for lovers of local history and architecture and those with an appreciation for what is vintage and beautiful. This is most certainly a unique location of culture and inspiration. 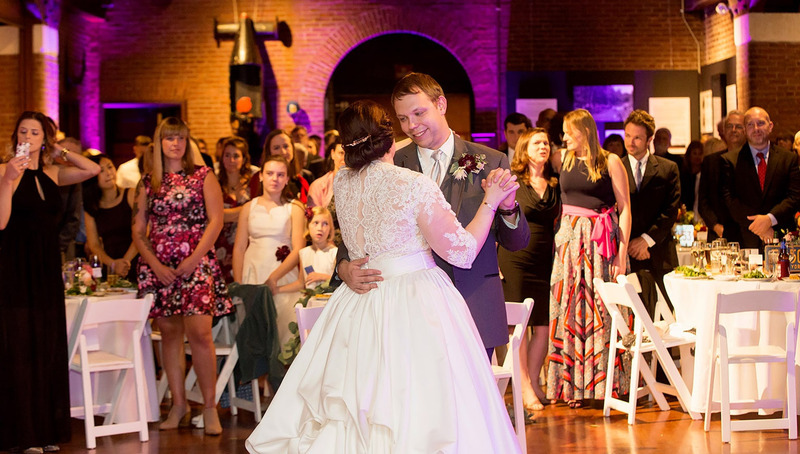 The majestic Main Gallery can seat up to 130 guests, leaving room in front of the Great Doors, providing a dramatic backdrop for a large dance floor space. A standing cocktail reception can easily accommodate up to 150 guests. The Stable Room, where the Anderson horses were once stalled, is commonly used as the cocktail area or for a buffet, bar and/or food stations. Some use this space for the quieter conversation area, separate from the Main Gallery. The Great Lawn has been host to picnics and barbecues, automobile shows, auctions, weddings, and large tented events for almost 100 years. The lawn, with a tent, can accommodate groups up to 500. 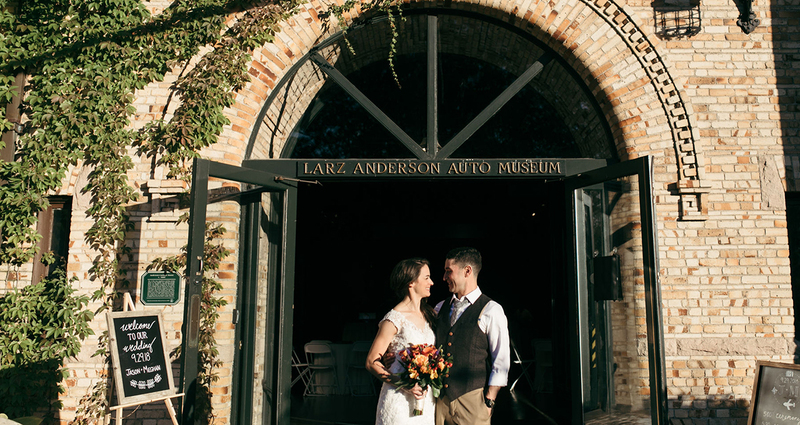 Relaxed and Fun Wedding at the Larz Anderson Car Museum from Next Level Films on Vimeo. 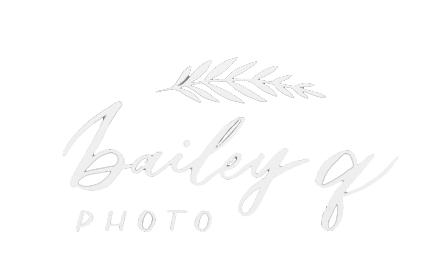 Kristen+Antoine // Brookline, MA // Larz Anderson Auto Museum // Wedding Film from StopGoLove on Vimeo. 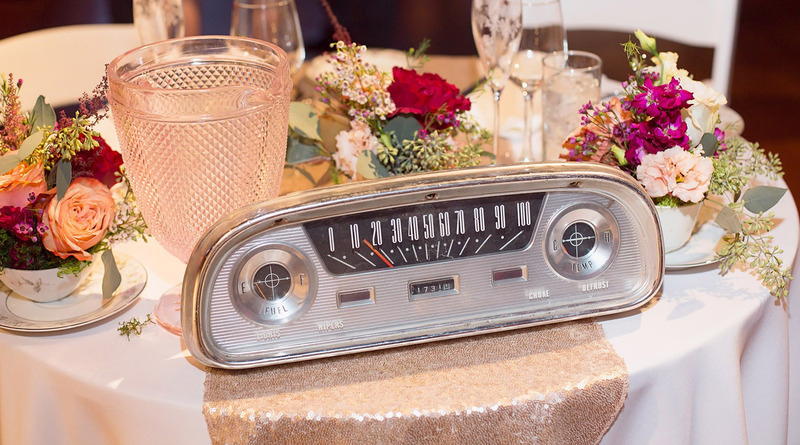 Katie + Viral - Larz Anderson Auto Museum Wedding from JPod Films on Vimeo.